Michael Mehaffy is an American academic. He studied music composition, design, art and liberal arts at California Institute of Arts from 1973 -1975 and continued his studies in liberal arts, science and music at the University of Texas from 1975 – 1976. In 1978 he received his Bachelor’s degree in arts from Evergreen State College, Olympia in Washington. In graduate school Mehaffy studied philosophy at the University of Texas and architecture at the University of California, Berkeley. Mehaffy co-founded the Centre for Environmental Structure – Europe with pioneering architect, engineer, builder and author Christopher Alexander. The centre works on advanced topics in the generation of form, including new kinds of urban codes, and is associated with the Martin Centre in Cambridge. Mehaffy has sought to establish links between scientists and architectural practitioners and to show support for a traditional approach, as a more sustainable and more humane path for the future. 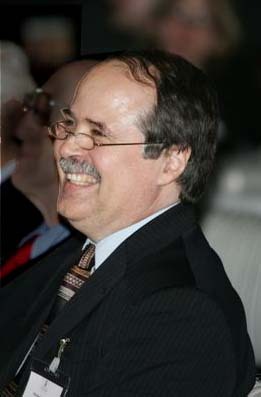 From 2003 – 2005, Mehaffy was the Director of Education at The Prince’s Foundation in London. He was responsible for creating a new education programme including conferences, short courses and research, and he formed partnerships with major British agencies and organisations including the Royal Institute of British Architects, Building Research Establishment, Office of the Deputy Prime Minister, Commission for Architecture and the Built Environment, six partner universities, and others. Mehaffy is the president and owner of Structura Naturalis Inc, a Portland, Oregon based design and development consultation business. He has undertaken a number of architectural projects in America with a locally-appropriate vernacular approach, combining local and regional traditional precedents with more universal design principles. Mehaffy pays great attention to new construction systems which allow the use of recycled materials and other resource-conserving strategies. Mehaffy has served as project manager on several innovative urban-scale projects including the transit-oriented community of Orenco Station. Mehaffy is a member of the Congress for the New Urbanism.